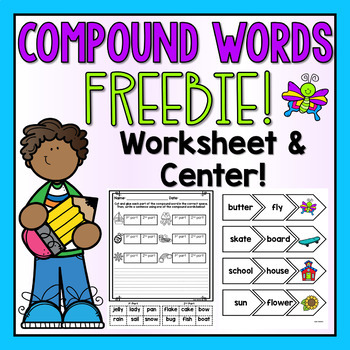 This freebie contains one cut and paste worksheet and a center activity to practice compound words. The center is a puzzle activity where students find both parts of the compound word and the picture to match. On the worksheet, students must locate both parts of the compound word and glue them next to the correct picture. I hope you students enjoy these activities! If you enjoy this FREEBIE, I would greatly appreciate your feedback! You might also like these Beginning Blends Activities!